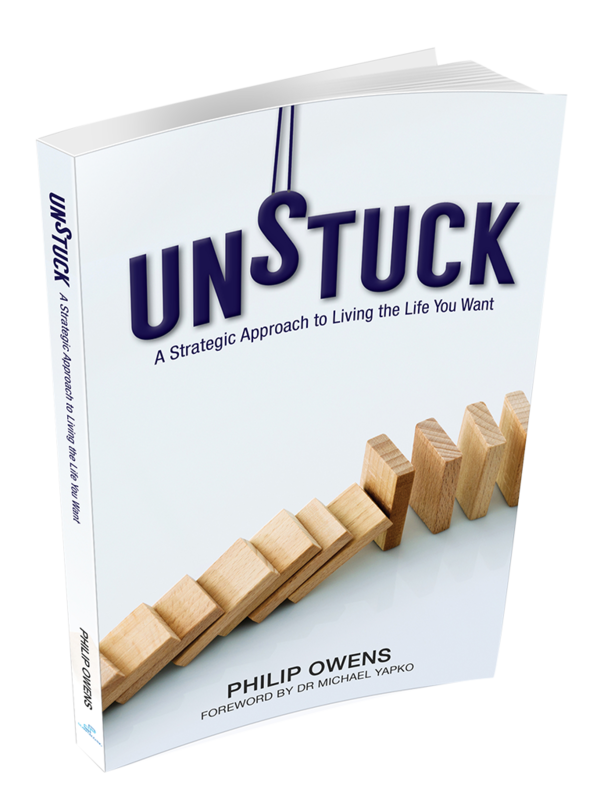 Getting UNSTUCK - A strategic approach to living the life you want. "In life, we all get stuck. It is simply part of life’s journey that we face a challenge that we struggle with. For some people, what keeps them stuck seems small and inconsequential, for others what keeps then stuck is a significant life challenge. Either way, if you are prepared to approach your problem strategically, pragmatically, practically, then there is a way forward for you now." In life, we all get stuck. It is simply part of life’s journey that we face a challenge that we struggle with. For some people, what keeps them stuck seems small and inconsequential, for others what keeps then stuck is a significant life challenge. Either way, if you are prepared to approach your problem strategically, pragmatically, practically, then there is a way forward for you now. This is a self-help book with a difference. It is something that you can return to again and again, each time drawing on different aspects of your experience. Because we all get stuck at different times and in different ways, and revisiting the book, or even just the relevant section, can keep you on track to living the life that you want. Being stuck is a part of life. Being UNSTUCK might just be easier than you thought. 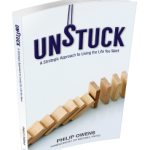 In the book, “UNSTUCK: A strategic approach to living the life you want” we take a tour through what gets people stuck, and offer practical and pragmatic ways for you to get UNSTUCK from whatever it is in your life. Looking at where people get stuck – at the level of goal setting, by the behaviours they choose, or the unconscious ‘conditions’ that determine behaviours, we see the common mistakes that we all make from time to time, and what to do about them. Packed with over 120 exercises, the book is designed to support action taking. By actively engaging in the exercises as you move through the book, there is a real opportunity for you to learn, experience and shift just a little, and open a new path forward. Are you ready to take back control of your life, then Get UNSTUCK now!